The very first thing you need to know is: it’s an art and a science. There are many factors that go into the valuation of land and there is never one single number that you can definitively say, “THIS is what my land is worth.” So we’ll give you some of the factors below but be aware that when it comes to how to determine the value of land in Florida, you’re really looking at an approximate range. When you’re thinking about valuing your property, one of the first places that many people look is at some websites that claim to give you the value. (Zillow is one such site but there are others.) Use these numbers with caution! They are derived from a number of factors and should only be considered one piece of information in a much larger puzzle. These numbers can be wrong by as much as 50% in some areas. Many real estate agents offer free market valuations to homeowners and land owners. So you may consider calling up an agent and asking for a market valuation. The agent will then look at data from similar properties that have sold recently in the area and they’ll use that as a way to help you determine the value of your land. Again, it’s not a perfect number (since factors change) but it’s a good starting point if you are looking to list your property with an agent. The best judge of the value, though, is YOU. 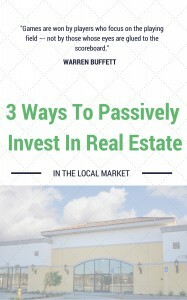 Three people looking at the same piece of land will get very different valuations – if one is a farmer wondering how hard it will be to clear the land and grow a crop, and if another is an owner who wants to build a retirement home in the wooded area, and if a third is a property developer looking to divide up the land and develop a subdivision. Each one will value the land according to their needs. So what do YOU see yourself using the land for? (And remember: value is not always a financial number but also includes the time, effort, and potential enjoyment you can get from the land). If you want to talk about land with us, we’d love to connect with you. Perhaps you have a piece of land to buy or to sell, just click here to enter your info and let us know about the property you want or you own and we’ll get back to you quickly.